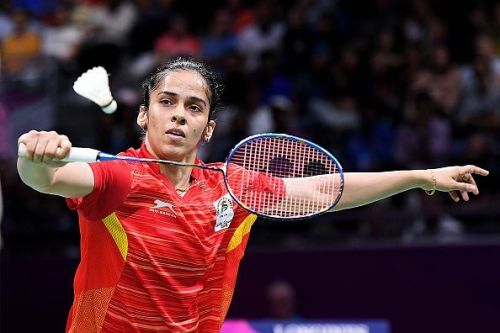 Both Saina Nehwal and Kidambi Srikanth were made to work hard on their way to the quarter-finals at the All England Open Badminton Championships 2019 in Birmingham on Thursday. The start of Nehwal's second-round match, especially, was shocking as she looked sluggish and was completely outplayed by the 19th ranked Line Hojmark Kjaersfeldt in the first game. Nehwal, who later revealed that she hadn't been in the best of health, found her rhythm from the second game as she fought her way back from 9-11 down to pocket it 21-16. With Saina growing in confidence in the decider, the Dane could not do much and succumbed to a 21-8, 16-21, 13-21 defeat. It remains to be seen if this comeback can inspire the Indonesia Masters champion to upset the top seed and World No. 1 Tai Tzu Ying, a player she has lost to the last 12 times. Srikanth, meanwhile, dropped a game to the Asian Games gold medallist Jonatan Christie but rebounded in the decider to reach the All England quarters for the first time in his career. The 21-17, 11-21, 21-12 victory was surely a huge boost for the former World No. 1 after suffering two consecutive defeats at the hands of the Indonesian in their last couple of meetings. However, anything less than his immaculate best in the quarter-finals will put him in the danger zone for he faces the top seed and World No. 1 Kento Momota who has beaten him the last seven times. Where to watch Saina Nehwal and Kidambi Srikanth's matches? The matches will be telecast live on Star Sports 3 from 3:30pm IST. Live Stream for the matches is available on hotstar.com.